The Johnson City Press, a 26,000-circulation newspaper in Johnson City, Tenn., has a history of running successful photo contests. The staff knew cutest baby contests are always a big success, so they wanted to find the perfect sponsor who could really benefit from the opportunity. Mountain States Health Alliance, a local medical center, had worked with the Johnson City Press in the past. The hospital was hopeful this photo contest would help grow its email database, increase exposure for the brand, and develop hot leads for future marketing campaigns. 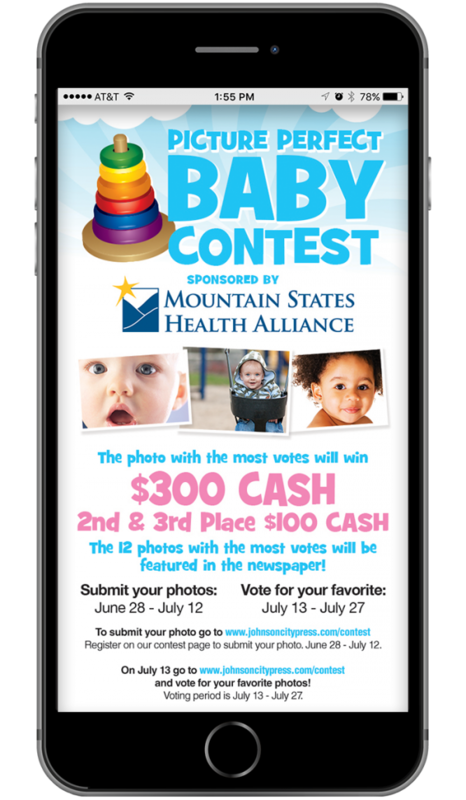 Long before launching the Picture Perfect Baby Contest, the newspaper met with Mountain States Health Alliance to determine what the company's goals were from this campaign. It's important to have a consumer needs analysis (CNA) meeting to understand what the client really wants and decide on the best ways to achieve every goal. Based on the CNA, the newspaper learned the hospital wanted to grow its email database of new customers, so the paper included an email opt-in to the registration page. In addition to email growth, it was really important for Mountain States Health Alliance to identify potential new clients. A cutest baby contest presented the perfect opportunity to target families in the community. With two unique survey questions, the Johnson City Press was not only able to identify users expecting a new baby, but was also able to provide a list of contacts who specifically wanted information about their children’s healthcare. The paper has found that photo contests draw in more engagement when they have separate submission periods and voting periods. Each period ran for about three weeks. While users could only make one submission, the paper allowed them to cast a vote each day. This brought users back to the site day-after-day and gave users extra time to solicit votes from their friends and family. Promotion is key to maximizing engagement on the contest. The Johnson City Press leveraged core media with print ads in the newspaper and ads on its website, but the real driver of participation was email. The team sent a contest email to its registered user database of 13,500 people, and this sparked the majority of the contest engagement. 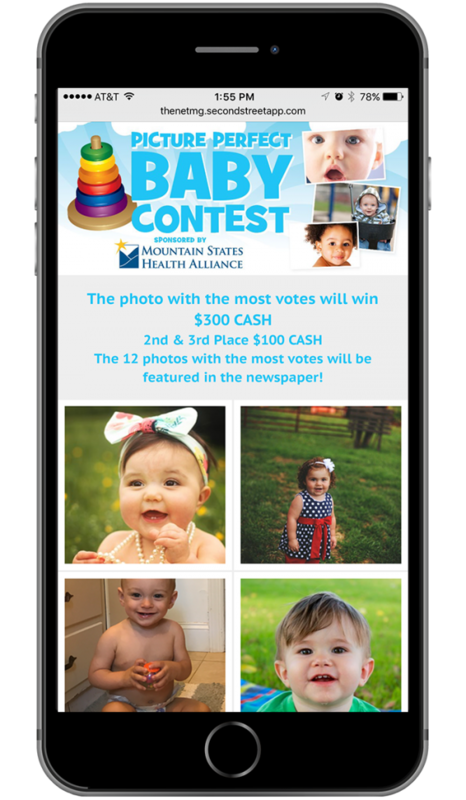 After the contest ended, while the top three winners each received a cash prize, all of the top 12 entrants had their adorable pictures published in the newspaper. The contest received 600 entries, over 16,000 votes were cast, and the Johnson City Press was able to secure $3,000 in revenue. But the real success came in results for the advertiser. The email opt-in brought in over 7,200 new addresses for the hospital’s database. 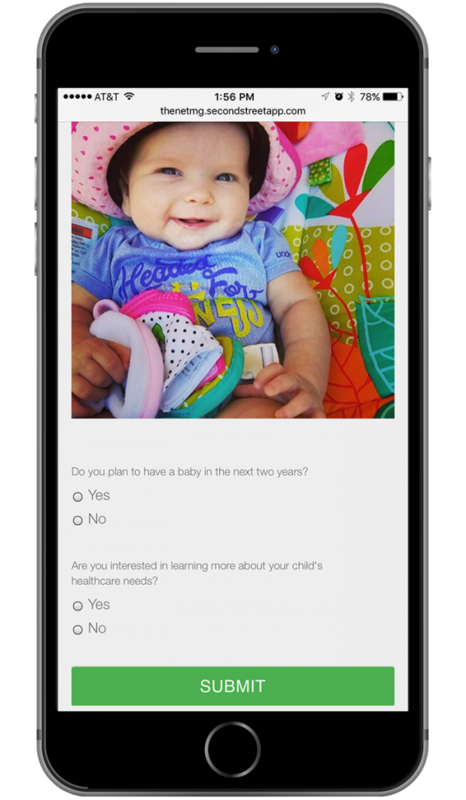 They discovered 1,195 users who anticipate having a baby within the next two years and 596 entrants were interested in learning more about their child’s healthcare. 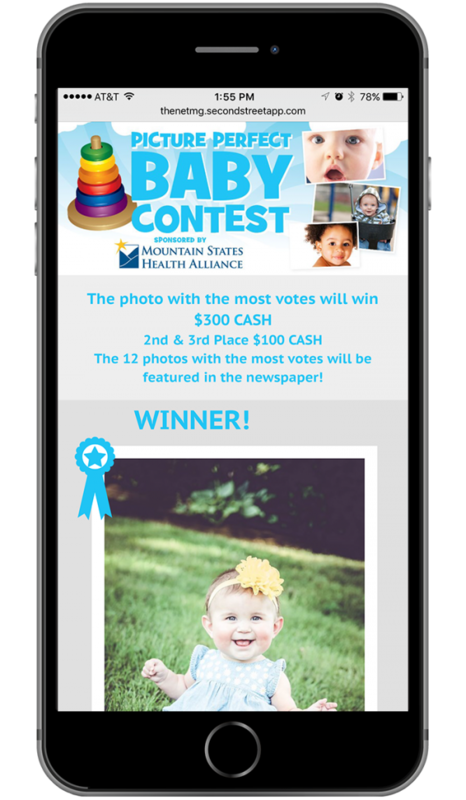 The Mountain States Health Alliance was thrilled with the valuable results of the contest. It cannot wait to begin using all the data for future targeted marketing campaigns and is eager to work with the Johnson City Press in the future.